Today’s post will deal with how we may use deception to gain advantage or even to be funny at someone’s expense. Neither forms of guile are exclusive to the Trinidad and Tobago citizenry but given that we have a reputation of being “Tricky-dadians“, it is good to do some reflection. Deception for personal or business advantage = Smart? The smart thing to do is to be completely honest. 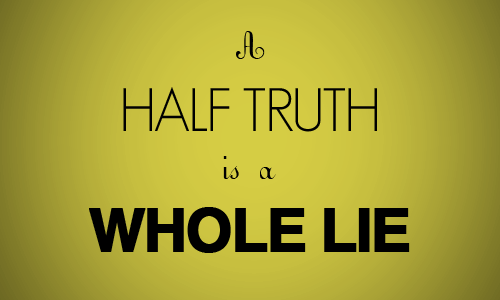 We may be wary of blatant lies but half truths are quite dangerous also. One prevalent form of half truth is “deception by omission”. This strategy is often used to hide culpability or gain financial advantage in business and personal interactions. No one likes to be on the receiving end of having the wool pulled over their eyes. We dealt with this before when we discussed the Golden Rule and honesty to self. Dishonesty by omission doesn’t engender trust and cooperation any more than blatant lies do. Dishonesty destroys personal and business relationships. The truth is people may decide whether to do business with you based on your nationality. We may be ambassadors for Trinidad and Tobago in seemingly insignificant encounters. For instance, if you have a choice between five countries to conduct a lucrative business transaction, given that all things are equal (price, delivery time, quality etc.) who would you choose? Who would you not choose to do business with? Without detailed information you have your own Corruption Perception Index for countries based on their reputation. Where do you think Trinidad and Tobago stands? Can we do better? In the Independence pledge honesty in words does not come with an exception for mamaguy. You may have heard people say “Trinis like to mamaguy“, what may be left unsaid is that Trinis are not trustworthy, be on your guard when they flatter you, they are up to no good when they are smiling. A typical situation is where we may conspicuously compliment someone on a new pair of shoes/shirt/dress when we actually think they look ridiculous. We call that mamaguy it’s a bit different from sarcasm because the deception is hidden. The thing is 1) not everyone could tolerate being made to look like a fool; 2) not everyone thinks the joke is funny and; 3) the joker often looks bad. 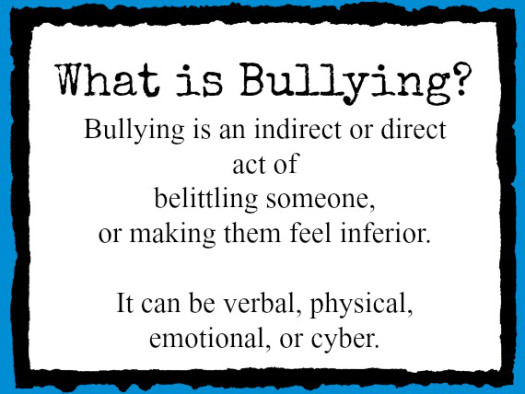 Some may even argue that mamaguy is an indirect form of bullying.